Psoriasis is a common autoimmune skin condition that causes red, flaky, patches on the skin. It mainly occurs over the elbows, hands, knees, lower back and scalp. 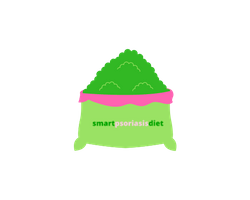 A healthy diet that contains lots of vegetables and fruits, whole grains and lean protein is an excellent idea for just about anyone and can even make a difference to a psoriasis patient. Superfoods are foods that are rich in antioxidants, vitamins, minerals and other healthy and nutritional elements that are beneficial to the human body. Albeit superfoods are not an instant cure-all, regularly adding them into your diets can be the basis of a highly healthy lifestyle. Since the effect of psoriasis manifests themselves on the skin, then superfoods that promote healthy skin may be beneficial to your psoriasis symptoms in different ways too. It is advisable to go for superfoods that are rich in antioxidant nutrients such as Vitamin C and E, Zinc, Selenium, and beta-carotene. This is a natural alga that is rich in protein, B-vitamins, antioxidants and many other nutrients. Chlorella is rich in vitamins A, B1, B6, B12, C and E, and various minerals such as magnesium, potassium, iron, and calcium. Kelp is a brown-coloured seaweed that is high in iodine, calcium, potassium, and vitamins, especially B-vitamins. It is also rich in antimicrobial properties which are beneficial to alleviating the symptoms of psoriasis. This vegetable is a highly nutritious superfood and is rich in many essential nutrients like zinc, iron, protein, calcium and Vitamins A, B-6, C, E, and K.
Greek yogurt is packed with essential nutrients such as Protein, Potassium, Calcium, Vitamin B-12, and probiotics. This is without a doubt amongst the best foods for people with psoriasis as it is one of the reliable dietary sources of beta-carotene, vitamin c, and folate. To get the most out of this superfood, choose organically grown broccoli as they are typically more nutrient-dense and contain fewer harmful substances. These nuts are a source of Vitamin E, magnesium, copper, fibre, and high-quality protein. These are a nutrient-rich type of fruit with high anti-inflammatory properties, a great source of fibre and packed with vitamin C. They also contain Manganese which supports bone growth. Chia seeds have an abundance of antioxidants and a decent amount of proteins and amino acids. Garlic has been used for many years for its natural antibiotic properties. It can also be used for psoriasis, thanks to its lipoxygenase inhibitor abilities that enable it to stop the activity of enzymes responsible for inflammation. How can one incorporate superfoods for psoriasis into their daily diets? You can incorporate your superfoods into your daily diet through healthy juices, smoothies and herbal infusions for psoriasis. This smoothie recipe combines spinach rich in beta-carotene and blueberries that are abundant in psoriasis –combating antioxidants. To add some sweetness, add a ripe banana and Chia seeds, which are a rich source of Omega-3 fatty acids. If you have a juicer, use some fresh ginger and a bunch of carrots to extract a healthy drink that is full of beta-carotene from the carrots and gingerol (the active component that contains anti-inflammatory and psoriatic properties) from the ginger. Although it may sound wacky at first, spirulina is a highly nutritious alga that can help ease the symptoms of psoriasis. However, it is not the easiest thing to add to your breakfast. You can add it to your green smoothie as it will not affect the taste. Consider subbing out the heavy creams in your diet with Greek Yogurt. Greek Yogurt will not only help ease your psoriasis symptoms but is also rich in vitamin D, protein, and Probiotics. There are many natural ways of incorporating blueberries into your diet. You can eat them as an easy snack, or add frozen ones into your morning smoothie as they also add some taste. You can even eat them with your yogurt. Another great way of incorporating superfoods into your daily diet is through green powder products of healthy drinks. For optimum health benefits for your psoriasis, do not stick to just one green drink. Make sure to switch between different products to consume a more diverse range of herbs and foods. When buying these products, try to select those that boost your intake of specific the nutrients that alleviate psoriasis. For example, Athletic Greens contain a good variety of organic vegetables that provide minerals and vitamins. It contains Kelp, Spirulina, and Chlorella, which are rich in nutrients. It also includes a mix of different berries that are rich in antioxidants. This superfood cocktail is made through a combined time-tested and carefully selected fruits, herbs, plants, and mushrooms. Some of its ingredients include Broccoli, Spirulina, Inulin, Milk Thistle, Green tea extracts among others. The standard package comes with 30 day supply. AMRAP Nutrition Organic Supergreens Powder is completely organic and all natural. It contains 11 superfoods, including spirulina, alfalfa, astragalus, bitter melon, kale, oat and more. It is also soy free, gluten free and suitable for vegans. Standard package includes 22 day supply. NOW Foods Chlorella is rich in chlorophyll and Beta-Carotene, an important ingredient that helps our digestive system. It does not contain any allergens nor additives. Usually, packages contain 120 tablets, and the recommended dose is three tablets per day. Now Foods Spirulina 1000 mg is rich in Beta-Carotene (vitamin A), and all its ingredients are organic. Each tablet contains 1000mg of organic spirulina. Package contains 120 tablets, and the price is affordable. Kelp is a source of iodine, which is very important for the thyroid and metabolism function. It also contains essential marine minerals. Standard package contains 250 vegan capsules.